The comfort of the Danner Crafter 6" NMT work boot must be worn to be believed. The classic look includes an oiled nubuck, waterproof upper with Danner Dry waterproof protection. Inside, the all-new Danner Comfort System delivers best-in-class durability, support, and comfort. The anatomical design and broad toe box allows for a more responsive fit, and the patent-pending plush dual-density footbed adds cushioning and underfoot venting for maximum airflow. The Airthotic heel clip adds heel support, while the fiberglass shank provides lightweight stability. 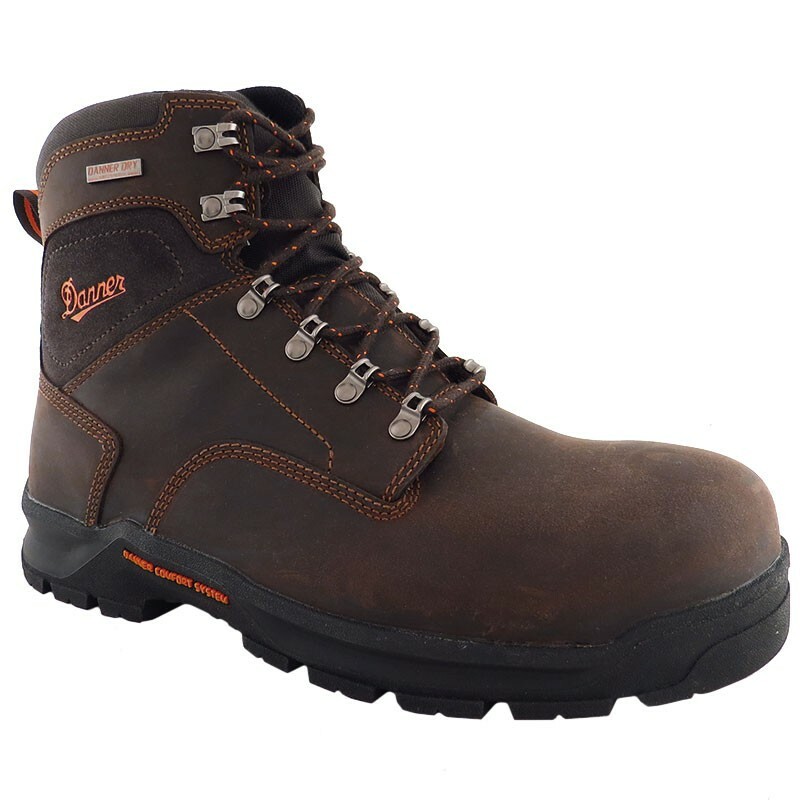 The non-metallic safety toe meets or exceeds ASTM F213-11 M 1/75 C/75 standards, and the Crafter outsole features a 90° heel and oil-and-slip resistant traction. Working overtime never felt so comfortable as it does in the Danner Crafter.